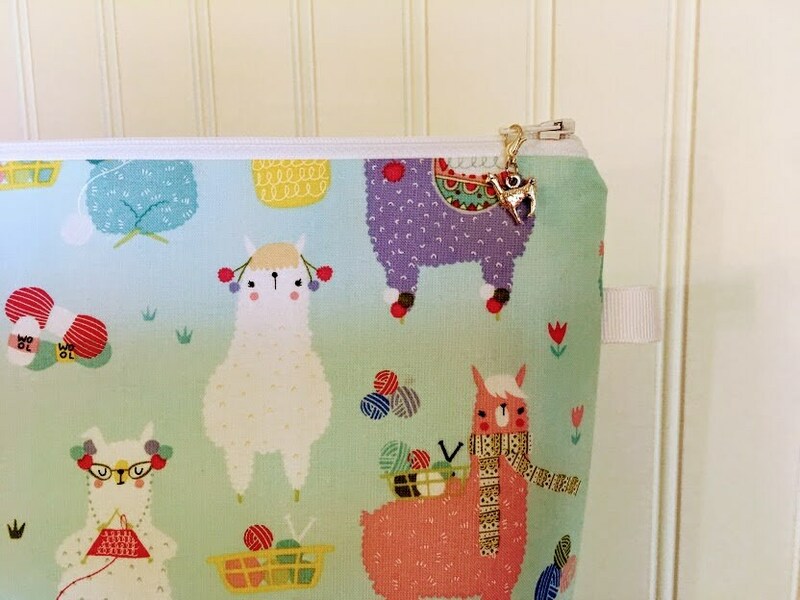 These llamas are happily knitting on this knitting bag. 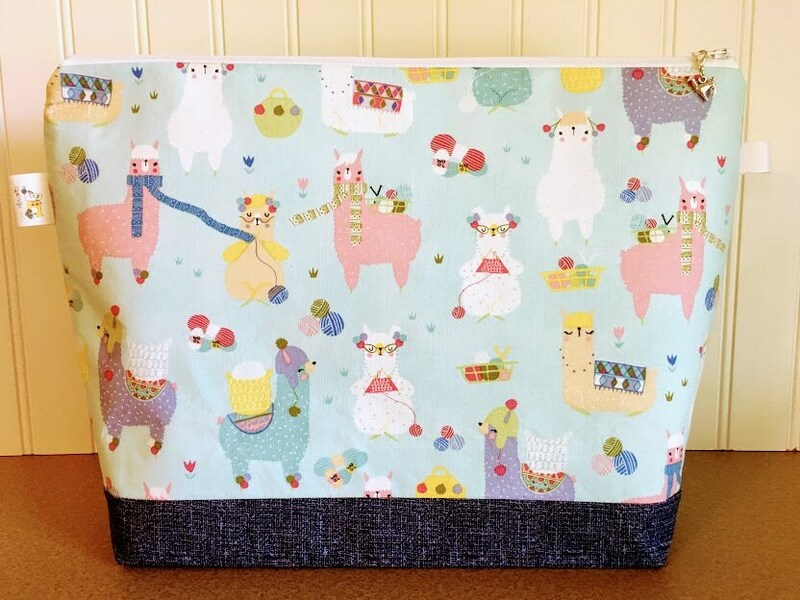 Large blue llama Knitting Project Bag. 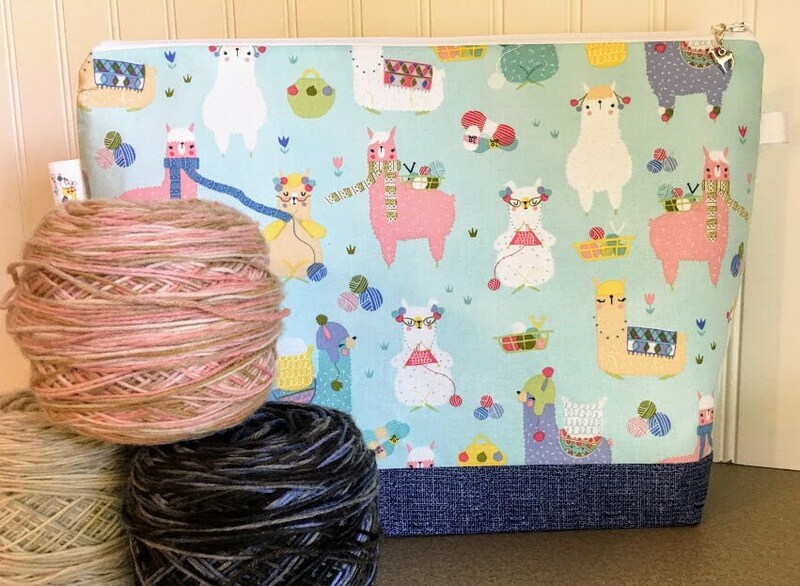 Perfect for large projects such as sweaters. Extremely well-made and spacious bag. 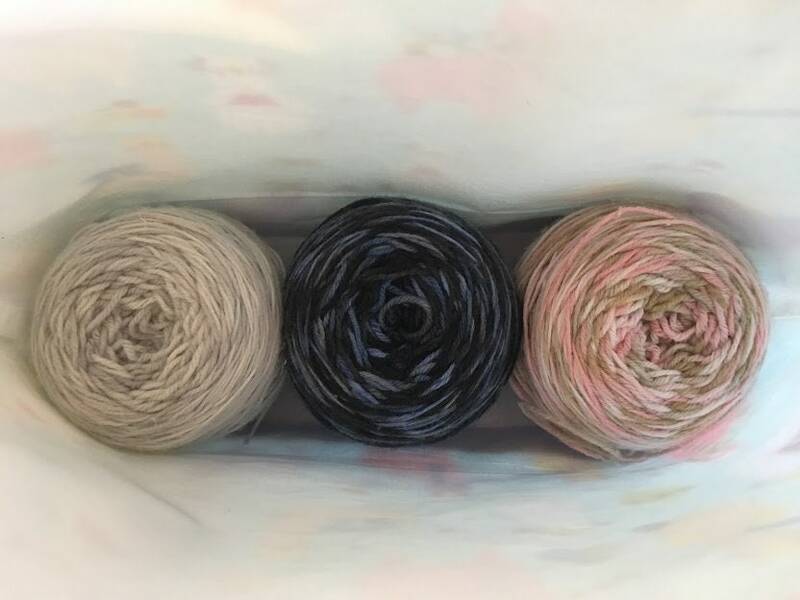 I have all 7 skeins for a sweater project being stored in it at the moment with no problem.